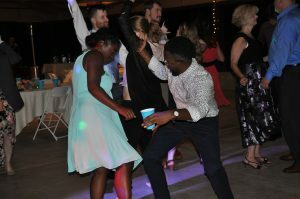 And We Danced DJ Entertainment provided the wonderful musical entertainment for the marriage and reception of Melanie Drake and Brandon Curtis at the McCann School of Art Fern Hill complex recently. 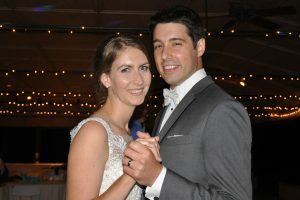 Melanie wore a beautiful sleeveless, off-white bridal grown, and Brandon sported a light gray suit. 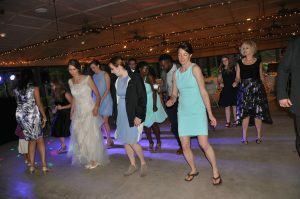 The bridesmaid wore various shades of blue, teal, and green similar to the colors of sea glass. Melanie even made sea glass earrings for her bridesmaids to wear for the special day. According to Melanie’s grandmother, Melanie’s hobby is collecting sea glass. 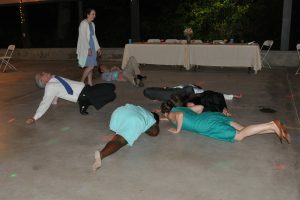 Brandon’s groomsmen wore light gray suits with pale blue vests. 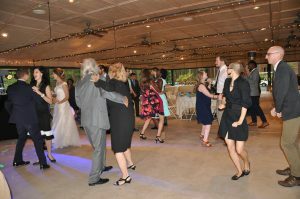 Woodring’s Floral Gardens provided the beautiful pink and coral flower bouquets, boutonnières, and corsages for the day. 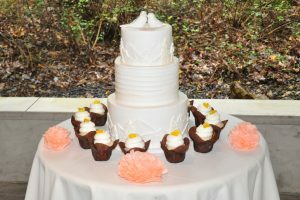 Melanie and Brandon chose Dolce Vita Desserts’ chocolate cake with a hint of coffee as their wedding cake flavor along with lemon flavored white cupcakes. The frosting on the wedding cake depicted a stunning forest scene with coniferous trees and mountains. Paul’s Provisions furnished the luscious food for the event. 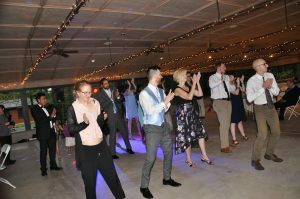 Kimberly Wright of Kimberly Wright Photography was capturing those special moments between Melanie, Brandon, family and friends throughout the day and night. 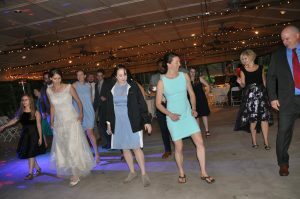 Tyler Kleinle of TK Videography & Photography was constantly on the move securing the memorable moments of the day along with special wishes for Brandon and Melanie from friends and family members. 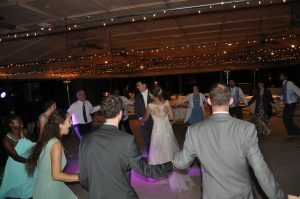 And We Danced DJ Entertainment furnished the ceremony sound, lights, emceeing and music for the big event. 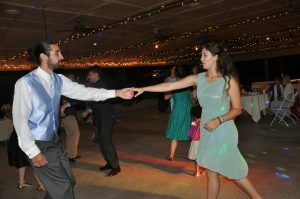 The bride and groom along with their guests were consistently dancing to old and new music throughout the night. 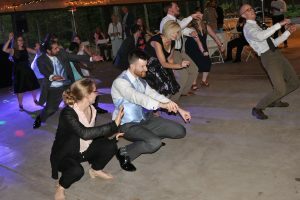 Guests were not afraid to show off their dance moves. 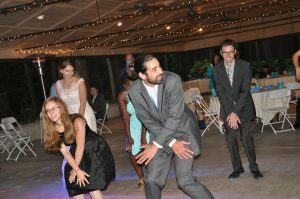 Even Brandon and Melanie showed off their dance moves! 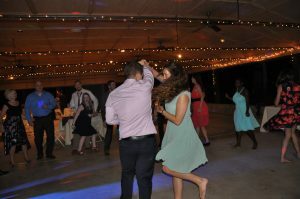 Thank you Brandon and Melanie for allowing And We Danced DJ Entertainment to be a part of your marriage ceremony and reception. 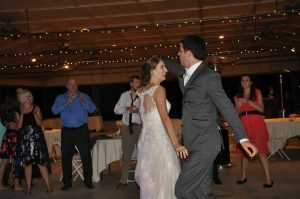 Good luck in your new life as husband and wife!